I've developer several components since the release of Lightning framework but I still have a strange problem. When I load external libraries (most common case is Bootstrap and jQuery) sometimes the jQuery library is not correctly loaded on startup, thus causing problems on dynamically loaded UI. The docs say I should use the "renderer" with the afterRender event, but doing this I don't see any trace of jQuery (like it is not yet loaded, the $ plugin is undefined), so I can't init my UI from that method. This leads to random crash of the app on first load, because sometimes the jQUery library is not loaded on startup. I'm currently using "setTimeout" to run the UI initializazione asynchronously, but I don't think this is a clean and good solution. You can also use Setup to add the requiresTestTab to S1. It's the same as the standalone app, just in a component that can be accessed from the "stage left" menu in S1. These components demonstrate using a namespaced version of Bootstrap, along with setting up Bootstrap and jQuery via different ways. They are integrated via attributes, events, etc. jQuery selectors are constrained to the component, something that's important to consider as components ≠ full-page apps. A jQuery plugin to do this automatically is a good candidate for another sample. We're working on how to best support this in the product. In the meantime samples such as this can help many users. If you improve on this, or find that lighter weight loaders such as headLoad work well, I'd be interested in hearing more. 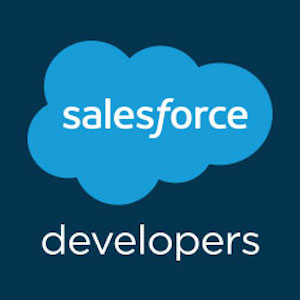 Have you tried using a <script> tag with a Salesforce static resource instead? I believe I figured it out. Documented in my specific case here (http://salesforce.stackexchange.com/a/54111/154). Here's my thoughts. A workaround is to set up a polling mechanism that checks for the existence of something in the library, e.g., check for jQuery / $. The requiresTest2 helper now has an initHandlers function that is called from the requiresReady event and the renderer. The ready flag mentioned above is used to check whether to proceed with the init. This is necessary because the loading order can vary depending on the container, for example the Lightning app vs. the Salesforce1 Mobile App tab. The requiresReady event is now COMPONENT scoped, and includes the objects returned by the requirejs callback, using the names specified in the attributes. As with any samples, no guarantees are made, but I am interested in feedback or improvements! I am trying to install the package from given url but installation is failed.I dont know what is the problem.Can you please help me? I'm also getting an installation error, 759792478-169904 (996808149). I have lightning components enabled. Is there an additional permission or setting needed? could you please provide another way to get the code, like github link. Hola! has anyone been able to resolve the following error?